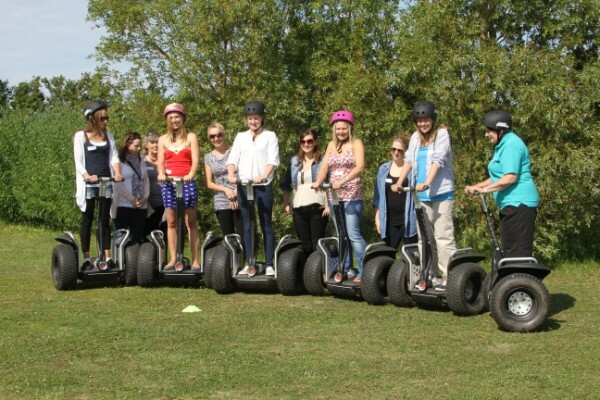 Learn to ride a Segway and ‘glide’ around our 18 acre site ! experience that has to be tried to be believed ! Sessions can be arranged for two to sixteen people at a time including children from 12 years old *. or colleagues – we don’t mix you with other groups ! Morning and afternoon Sessions are held on weekdays and weekends from March to November – subject to the weather and ground conditions. per booking/session, weight limits apply – please see Terms & Conditions. Is Segwaying for you ? 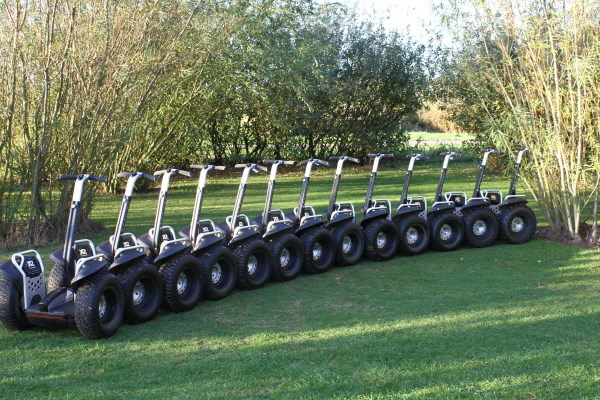 Please click here to see the wide range of people who have enjoyed Segwaying at Willows Nursery. Use this link to visit our Two hour Group Segway Session page. 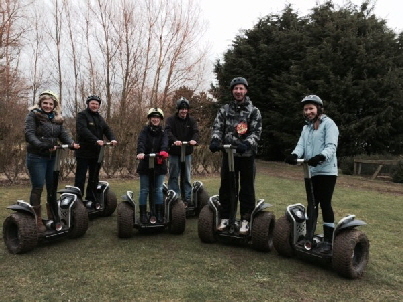 If you have a group of 9 to 16 people you will need to book a Two hour Group Segway Session. of our double decker bus which also provides great views of the others Segwaying. in total on a Segway at a cost that works out at just £17.50 per person ! to make the session into more of a celebration/party (sorry – no alcohol). Come to Segway . . . just for the fun of it . . . to celebrate a birthday . . .
. . . . . or for another occasion, such as a hen do ! Please use the links at the top of the page or below to see further information about our Segway Sessions. You can see updates from us on our Facebook page ‘Segway at Willows’ and we also have a TripAdvisor entry where you can see comments from previous customers. 20 years – and we are still trying to iron out a few ‘niggles’. Our apologies if you come across any before they are spotted and sorted out !